This weeks car news is quite varied, with Kahn revealing their new supercar, Ferrari showing off their latest FF and two 7 Series BMW's battle it out for the vacant M7 crown. 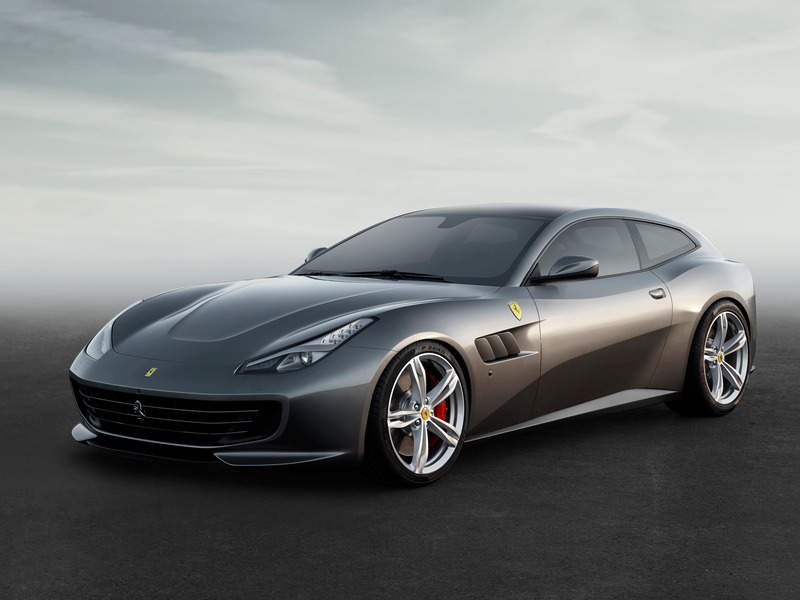 Ferrari have revealed their facelifted FF grand tourer and given it a new name - the GTC4 Lusso. The name is a reference to the legendary Ferraris before it, like the 330 GTC, 330 GT and 250 GT Berlinetta Lusso. The name of course isn't the only thing to change. It comes with a 30bhp power boost from it's 6.3-litre V12, taking it to 681bhp and a new 0-62mph time of 3.4 seconds. On top of that, there's a few external changes including new headlights and tail lights, a wider front grille, and a new rear diffuser and roof-mounted spoiler. The car is set to make it's debut at the Geneva Motor Show in a few weeks, with prices estimated to be around £227,000. 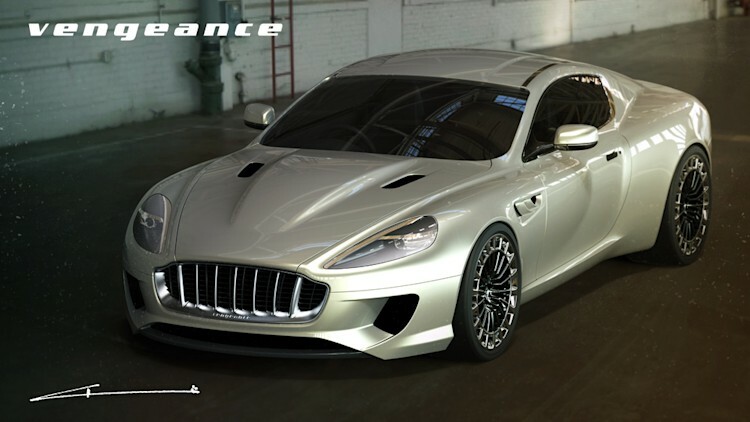 British design house Kahn have announced their bespoke supercar based on the Aston Martin DB9, and it's quite simply known as the Vengeance. Although each car uses the DB9's chassis, structure and interior, the exterior look is dramatically different. The Vengeance has an all-new body shape design which takes inspiration from Aston Martin's throughout the '80s and '90s, plus custom 'roulette' designed alloys that are 20-inch at the front and 21-inch at the rear. Each car is hand-built with only a limited amount being made. Each example with carry a plaque in the boot signed by every member of the Kahn team who helped build it. It launches later this year with prices expected to start at a pricey £300,000. 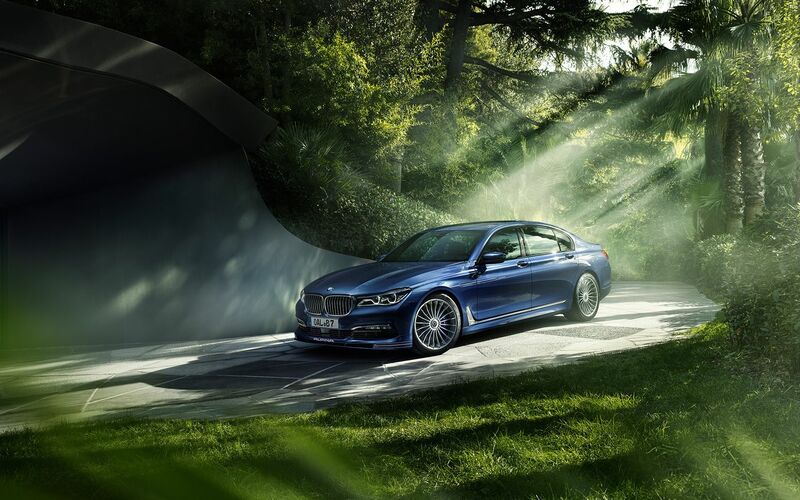 BMW have revealed the M760Li xDrive - a powerful 7 Series that really packs a punch. That too is a tuned BMW 7 Series, however this one is the Alpina B7. It uses the 4.4-litre twin-turbo V8 found in the M5, but it's with some tuning to give it 591bhp and 590lb of torque. It's 0-62mph time is 3.6 seconds and the car will cost an estimated £110,000. So, with the power figures nearly identical, what would you choose? Looks aside, would you rather a 6.6-litre twin turbo V12 vs a 4.4-litre twin-turbo V8 under the hood of your car? Luxury manufacturer Bentley have quietly released a new limited version of the Mulsanne Speed - the Beluga Edition. Designed by their bespoke Mulliner division, the Mulsanne Speed Beluga Edition comes with a number of special exterior and interior enhancements. Firstly the cars are quite black, with it's paintwork, 21-inch alloys and accents all finished in black, giving it a real stealthy look. Inside there is premium leather upholstery and matching steel sill plates, with three optional trims to choose from - Burr Walnut, Dark Stained, or Piano Black. As for performance, the Beluga Edition comes with a 6.75-litre V8 capable of 530bhp, 811lb ft of torque, a 0-62mph time of 4.8 seconds and a top speed of 190mph. That's pretty impressive to say the least! Not much is known about the price of the car, but with a 'normal' Mulsanne starting at £252,000, you can imagine it won't be cheap. A short one to finish off is this sketch that Mercedes have released teasing a convertible version of their C-Class Coupe. The car has been spotted in testing, but until now no official word has come from the German manufacturer. The car is somewhat expected, but no details have been unveiled so it's hard to know what to expect. We guess the car will come with the same variety of engines as the Coupe, plus a ridiculous AMG-spec equivalent too. Hopefully the reveal will take place at Geneva next month and we can get all of our questions answered then!